There are a lot of great word games on iOS Challenge Your Word Skills With These Addictive iOS Games Challenge Your Word Skills With These Addictive iOS Games Playing word games can often be a lot of fun, but also have the added bonus of being educational, keeping your mind sharp and improving your vocabulary. Taking these kinds of games with you on... Read More . 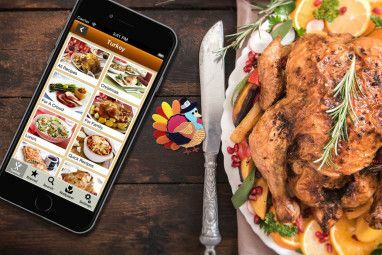 You only need to look to the success of a company like Zynga to see how games like Word With Friends boosted their fortunes. But when it comes to games, whether mobile or on the PC, few games have been as popular as chess over the years. It’s surprising that it’s taken so long for someone to marry word play and chess into the same exciting game – meet Wordbase. 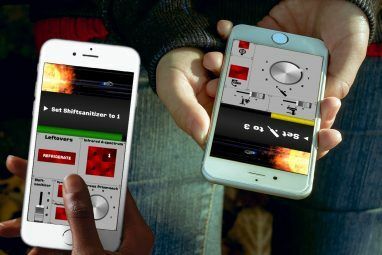 A free app, Wordbase is entirely turn-by-turn multiplayer and has no single-player mode. Currently, it works only on iOS devices, but the developers note on their website that an Android version is coming soon. Wordbase doesn’t use Game Center and instead relies on Facebook connections to find friends to play against, so it sounds like it should be a cross-platform multiplayer word game 3 Cross Platform, Free Word Games For Android and iOS Users To Compete On 3 Cross Platform, Free Word Games For Android and iOS Users To Compete On There are a few word games that work on both Android and iOS, letting friends catch up and compete. Read More . You can also play with random opponents. Wordbase uses a beautiful, “flat” interface which goes well with (and relies on) the rest of iOS 7. If you like how Letterpress Letterpress - An Addictive New Word Game You Won't Want To Put Down [iOS] Letterpress - An Addictive New Word Game You Won't Want To Put Down [iOS] Letterpress is a brand new word game that comes to us courtesy of Tweetie creator Atebits. 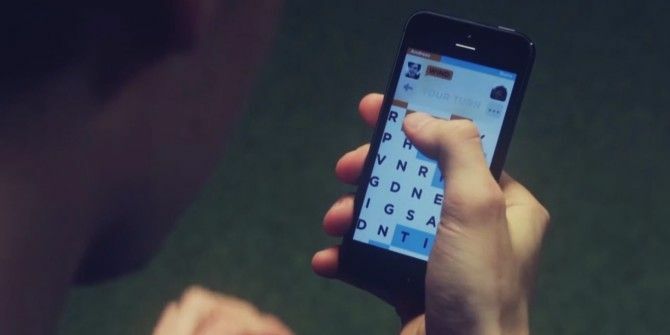 Available as an iOS app, the new word game will likely have you glued to your iPhone screens. Deceptively... Read More looks, you’ll be happy with how this turned out too. The rules of Wordbase are pretty simple: you play as one of two colours, red or blue. There’s a 13×10 grid of letters; the bottom row of 10 tiles is the blue player’s base while the top row of 10 tiles is the orange player’s base. Check out which colour you are playing as and defend that base at all cost. Starting from any letter in your base, you have to make a word with the adjacent tiles. You can move up, down, left, right and diagonally. The objective is to make a chain of words starting from your base and going forward such that you can capture one tile from the opponent’s base to win the game. When you start building your chain of words, every tile you capture turns into your colour, thus establishing a link or chain back to your base. However, your opponent has a chance to break this chain! If your opponent makes a word that uses one of the tiles you have captured, the chain is broken at that point and all the letters you captured from that tile onwards will be lost. The whole strategy of the game, then, is to figure out a path that takes you to the opponent’s base with the least amount of chain-cuts possible. In your initial games, you will try and make long words. But as your skill gets better and you face tougher opponents, you will rely on fortifying chains so that each letter ideally has two link points. That way, if your opponent steals one, you still keep the chain intact. Wordbase also has a few black tiles scattered in the grid which are called “bursting tiles”. Capture these and you also get all of the surrounding tiles. There’s a cool animation where all the tiles in the board jump, like a shockwave is passing through. This didn’t work well for me though. On the first capture, the surrounding tiles weren’t given to me; but the second time I or my opponent captured that same tile, it worked. The developers assure me that it should work, let us know if you also have any problems. I don’t know whether the makers started off trying to marry chess and word play, but that’s what they have successfully managed to do. This is one free game that’s worth downloading, although you’ll probably have to convince a few friends to play with you since there don’t seem to be too many people who have this game already. Still, it’s not without its flaws. For one, the tutorial completely misses out on mentioning what the bursting tiles do. Plus, it would have been fun to have timed “live” games, much like you do in Chess — perhaps that’s a feature the developers can add. If you have any features or suggestions for Wordbase, add them to the comments below. You never know when the developers might drop-by looking for good ideas to implement! I love this game but don't understand how some foreign words can be allowed , I cannot find some of the words my opponents have used in the English dictionary! Just got a board with multiple black letters on it, with my first word I practically took half the board. What a great feature and the animation is fabulous. I love this game, I wish more friends played it. Well I will definitely have to grab this once it comes out for android, let's hope they fix some of the bugs on that version. Thanks for the great review.